It’s a good time to be excited for Warhorse Studios’ Kingdom Come: Deliverance, as the upcoming medieval role-playing game will be detailed next week. This announcement comes in the form of a brand new teaser trailer (which you can watch above) that shows off the game’s lush landscapes. No exact time is given for when the “global announcement” will specifically happen, but it will take place on Friday, June 9. The single-player role-playing game is due out later this year, so expect a lot of information (and possibly a release date) coming out of the announcement. The game is set during the Medieval period, and players will look to restore order in the Kingdom of Bohemia (which is in modern-day Czech Republic). There are no strict role-playing classes for players to subscribe to, which should give players more freedom when playing the open-world title. The other super hard thing is actually finishing the quest. The beginning is all fun and roses and beer (or other alcohol), but then the reality sets in and you start throwing out things that don’t work (but you loved that idea so much) and it’s not fun to play, it looks stupid, and it breaks your heart and you start to detest it so much, that you want to take the quest behind the barn and finally end its suffering. Furthermore, everything is your fault, it was your stupid idea! 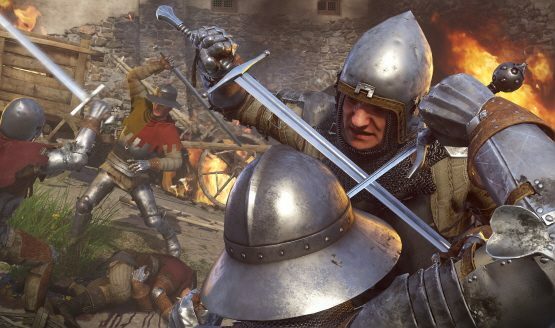 Kingdom Come: Deliverance is set to release on PlayStation 4, Xbox One and PC later this year. The debut game by Warhorse Studios is being published by Deep Silver, and was successfully funded on Kickstarter in 2014. It raised over $2,000,000 dollars in total, and a beta was released for backers in 2015.